Ford and Schaeffler have teamed up to produce a Fiesta eWheelDrive prototype. 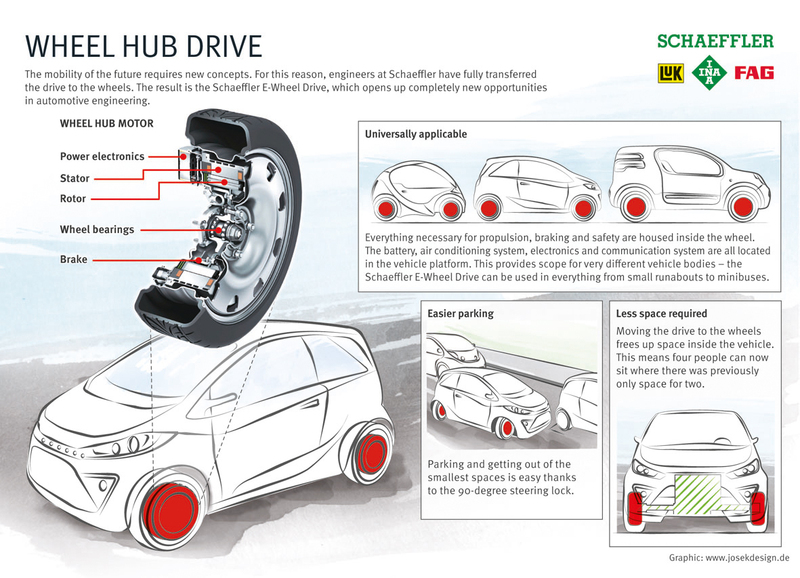 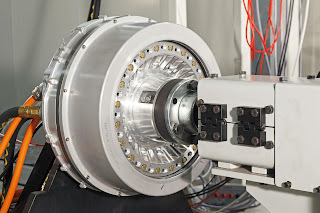 Designed to explore the potential of in-wheel electric motors, the prototype features two rear hubs that combine the motor, braking and cooling systems into a single unit. 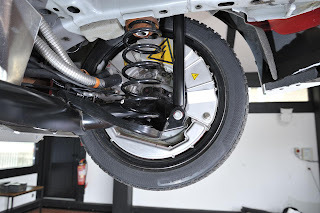 The compact design frees up space that normally would have been used by the car's engine and transmission. According to Ford, the technology could eventually allow the company to create a "four-person car that only occupies the space of a two-person car today." Detailed performance specifications haven't been released, but motors apparently produce a combined output of 110 HP (81 kW) and 700 Nm (516 lb-ft) of torque. 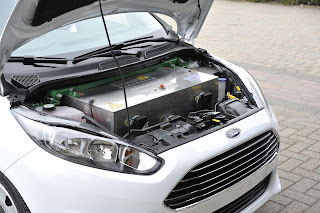 According to Ford’s director of Research and Advanced Engineering in Europe, Pim van der Jagt, “This is an exciting project to work on with Schaeffler because it potentially opens new options for the development of zero emission vehicles with very efficient packaging and exceptional maneuverability." 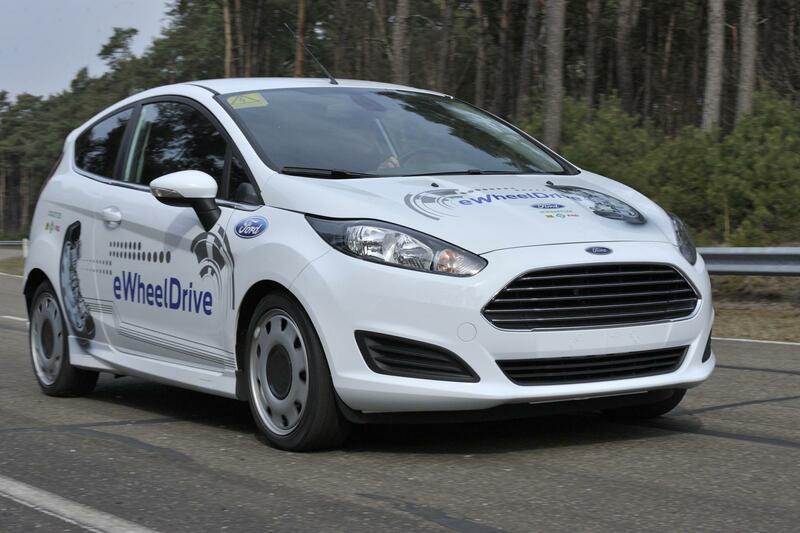 Speaking of the latter, Ford says the system to eventually enable drivers to move sideways into parking spaces. 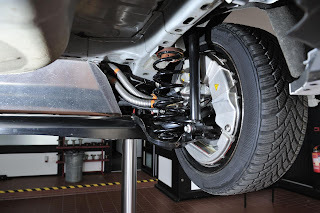 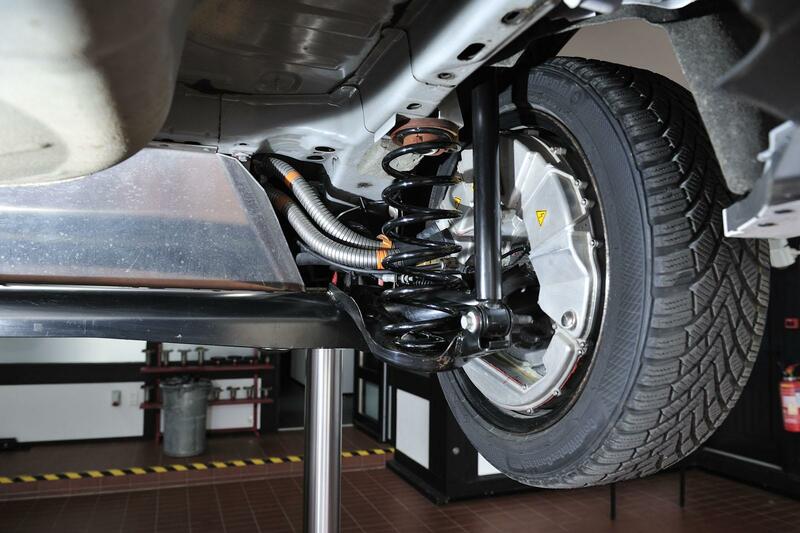 It should be noted that the demonstration vehicle's wheel motors are only fitted to the rear axle and not the front. 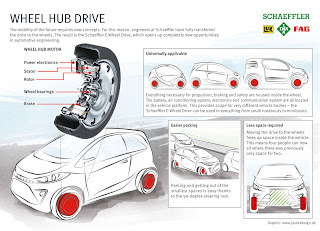 Presumably this is due to the axial length of the wheel motor packaging affecting front steering geometry, specifically negative scrub radius which is required in front wheel drive cars to reduce torque steer.